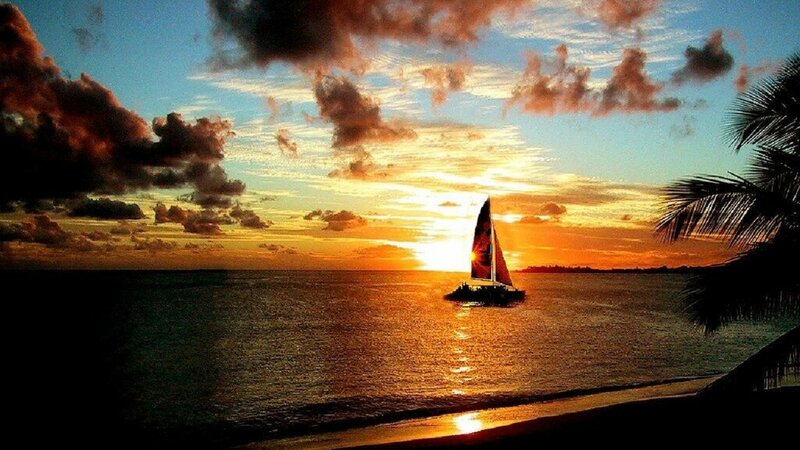 Experience the true Caribbean way on this evening dinner cruise! Guests are treated to an open bar and snacks as the catamaran sails along the coast of St. Martin, capturing the captivating colors of a Caribbean sunset. A truly Caribbean experience the buffet includes baked chicken and ribs with rice and beans, potato salad, green salad and Johnny Cakes! Friendly and fun crew serve at the buffet and guests are invited to dance under the stars or relax with a drink on the front deck. Foot tapping Caribbean rhytms make for a memorable Caribbean Cruise. Tango is a large 63 foot sail catamaran, sister ship to Lambada. Featuring a spacious walk-up bar area and plenty of seating, as well as large nets up front and plenty of cover in case of rain, this catamaran is fit and ready for a party! Tango boards at Pelican Marina in St. Martin for a unique Caribbean style dinner cruise. Guests are served a full open bar and snacks while sailing the coastline of St. Martin to enjoy the spectacular Caribbean sunset. Tango then returns to Simpson Bay to drop anchor as guests are served a Creole buffet style dinner. A sumptuous choice of Creole chicken, succulent baby back ribs, salads, breads, rice and beans and plantain is offered to guests before being invited to share the entire boat space to enjoy the fare picnic-style. Followed by a delicious dessert and famous Caribbean rums! Music will be played for your entertainment as guests dance the evening to a close! Aqua Mania at the Simpson Bay Resort & Marina. Check in at 5:00pm for a 5:30pm departure. Meals are not included for children 0-4. Available for purchase.